While at Honda's 2019 CRF450R Works Edition launch, we caught up with Yoshimura's BigE to learn more about the partnership that made this bike happen and what extra Yoshimura has in store for the lucky ones to get their hands on the bike. The Honda CRF450RWE, available in limited production, is one special machine. 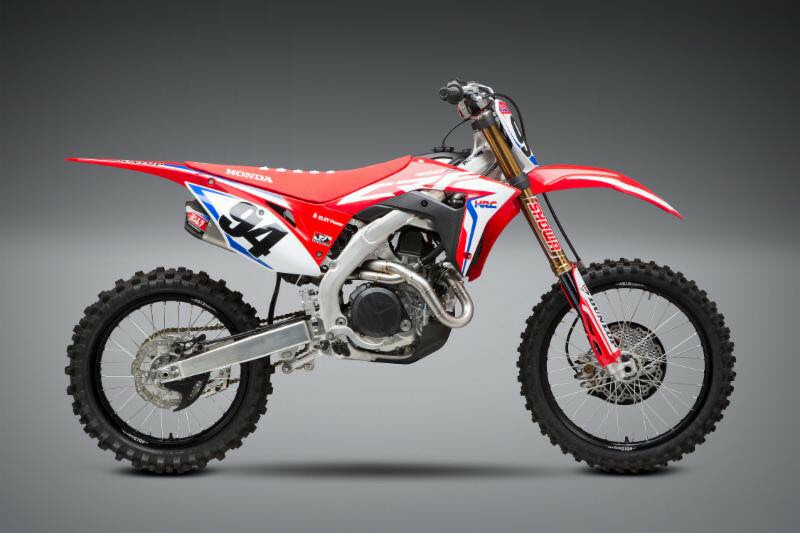 Yoshimura is honored to be chosen as the exhaust partner for such a prestigious Honda. To take advantage of all the performance the custom Yoshimura titanium Works Edition RS-9T mufflers offer, we developed a Works Edition header assembly to complete the titanium system. Made from high-quality titanium, and engineered only for the Works Edition machine, this header reduces significant weight, maximizes power and completes the look and feel of this historic Honda. It even has the extra protective skin on the front of the header - just like the factory bikes. Available only through Yoshimura R&D of America. Works Edition. A first for Honda, a first for Yoshimura. A position we like.